Hi Christine, the reason I asked is because there's no call for egg under "材料＂ (normally all your bread recipes call for one egg). Thank you. Thanks for your love of my blog. You're so sweet. 全蛋液 30克 that called for in this recipe is actually egg. Just lightly whisk a whole egg, then measure out 30 grams of it. hi, how much milk needed for this recipe? saw step1 needed milk, but no mention the quantity at the ingredient... thanks! No need to add milk for making this bread. Updated the post. Hi Christine,今天第三次弄汤种面包，总算成功了！看来practice makes perfect. 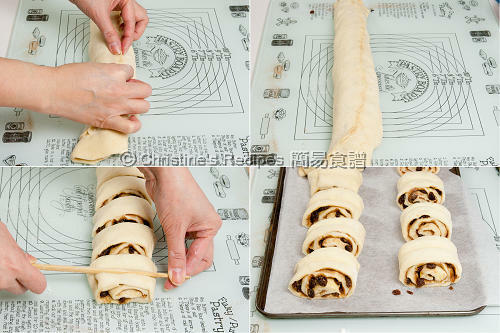 Again, 谢谢你的大方分享，连我这么没baking 天分的人也可以成功。All the best! Hi Christine: I'm new to your blog and tried the custard tarts, they are amazing. 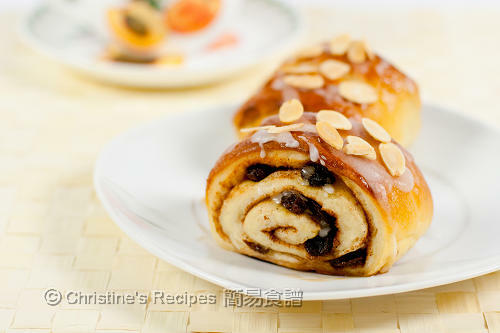 I want to try the pinapple buns and this raisin bread. The ingredients require milk powder, is it a special milk powder (for cooking) or the milk powder for babies? Thanks. Any regular milk powder will do. Just add a milky kick to the bread. 今日試呢個提子包時, 第一次發酵完全冇問題, 但到第二次發酵時, 包底有好多油流出黎!! 請問原因是什麼呢? 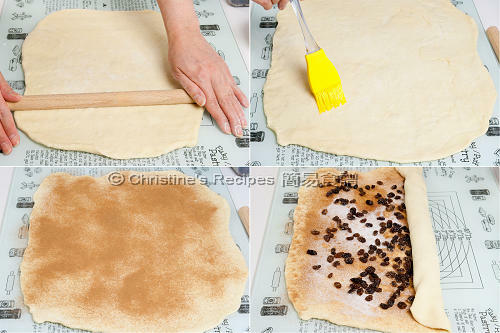 Highly probably that the oven temperature was too high or baked too long so your bread was too dark and hard. 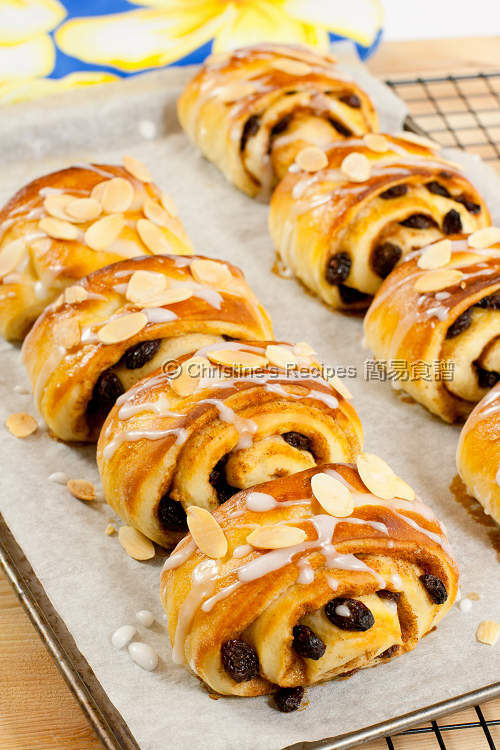 What is the English name of 快速乾酵母?